Our friends Erika and Josh had a facebook giveaway frenzy because they were moving across the country to Florida. I was sad to see them go, but glad to scoop up some fab freebies! The first thing I scored was a Beaba Babycook. They had used it for their son Oliver, but it is good as new. I have heard that it simplifies baby food making, but it doesn’t make very much at one time. However, it was free, so I was glad to take it and try it out, eventually. The second thing I snagged was a pizza stone. The day after we got it, we made pizza for the first time! 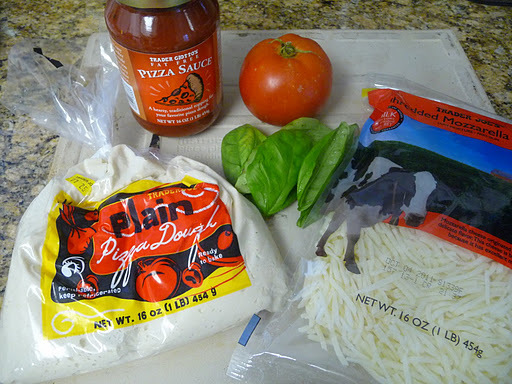 We went the easy route: pre-made dough from Trader Joe’s, jar sauce, shredded cheese, and tomato and basil from the garden. 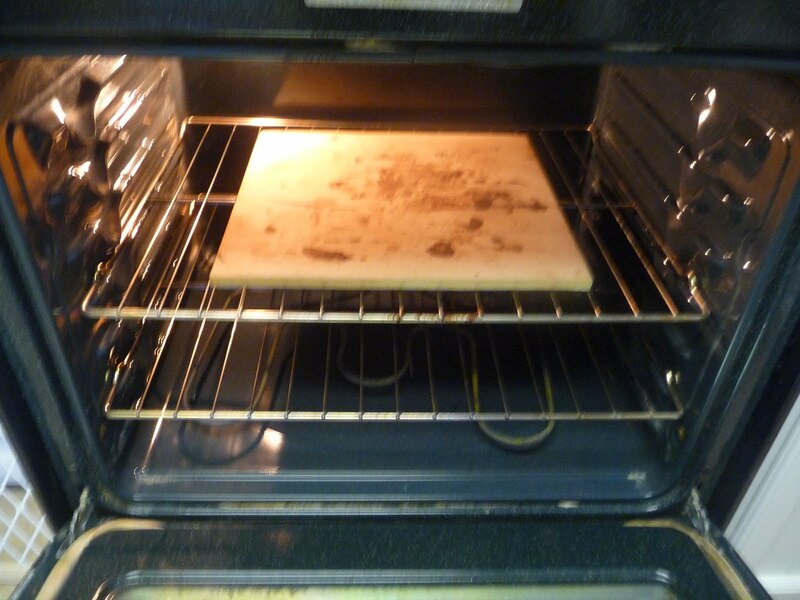 First, we put the stone in the oven to preheat. Don’t worry, it’s clean, just very loved. 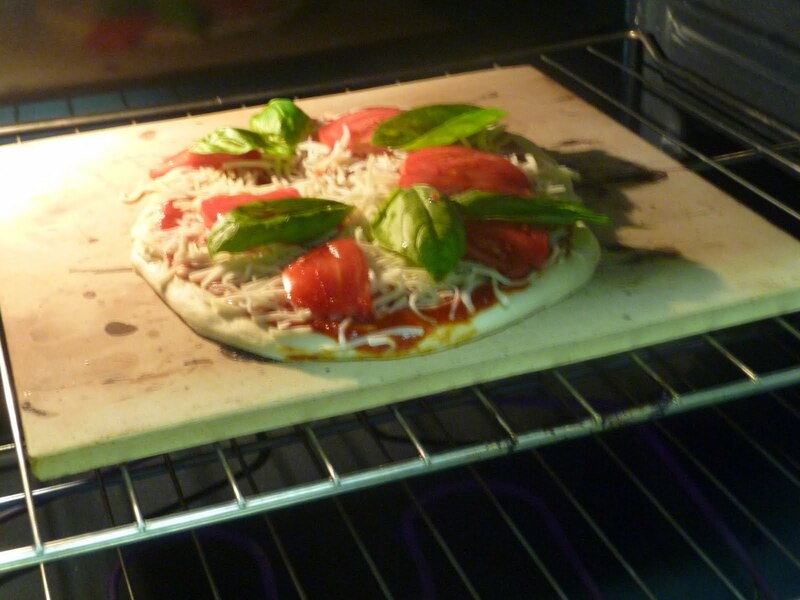 Then, we stretched out the dough on our lightly floured pizza peel. I got this one at Target for around $8. The transfer into the oven didn’t go as well as we had hoped. We needed more flour under the dough. We eventually got it on the stone, though. After around 20 minutes, we had pizza! We tried one more with wheat dough and stretched it out a little more to make the crust thinner. 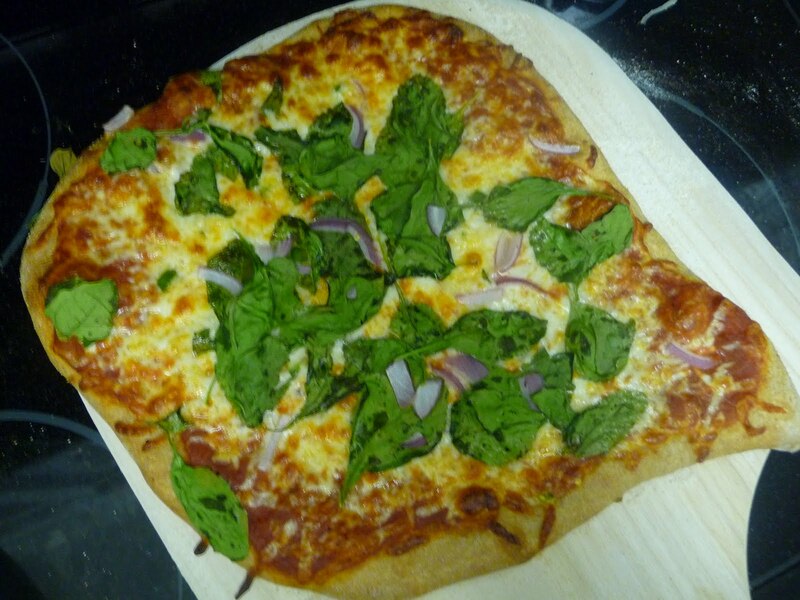 We topped this one with spinach, red onions, and jalapenos. 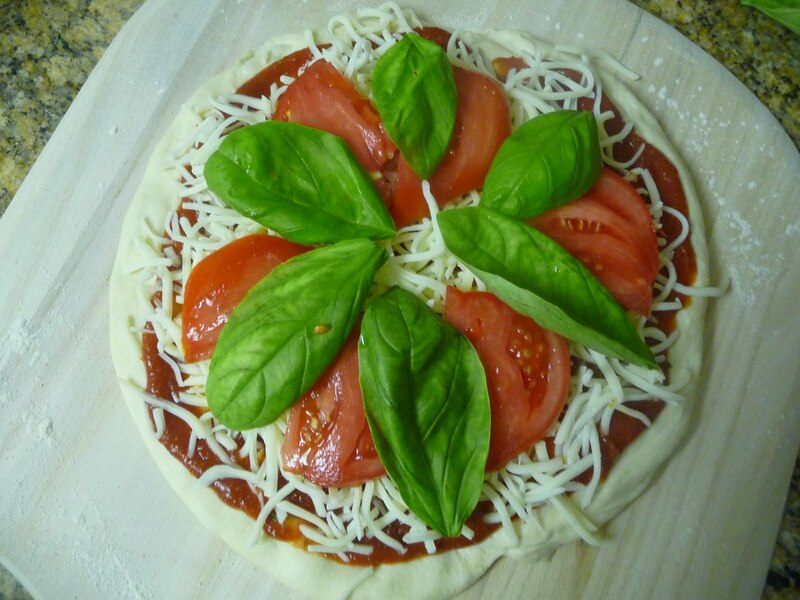 Have you ever made pizza at home? What are your favorite toppings? ← First Giveaway Ever: Surprise Revealed! Delish!I just recently made pizzas at home – I used turkey pepperonis, basil, tomato on mine and added jalapenos to the U's pizza. We make pizza homemade at my parents house every Christmas while decorating the tree. 🙂 I love carmelized onions on pizza. So yummy. I'll have to try this out one time! And congrats on the free babycook! 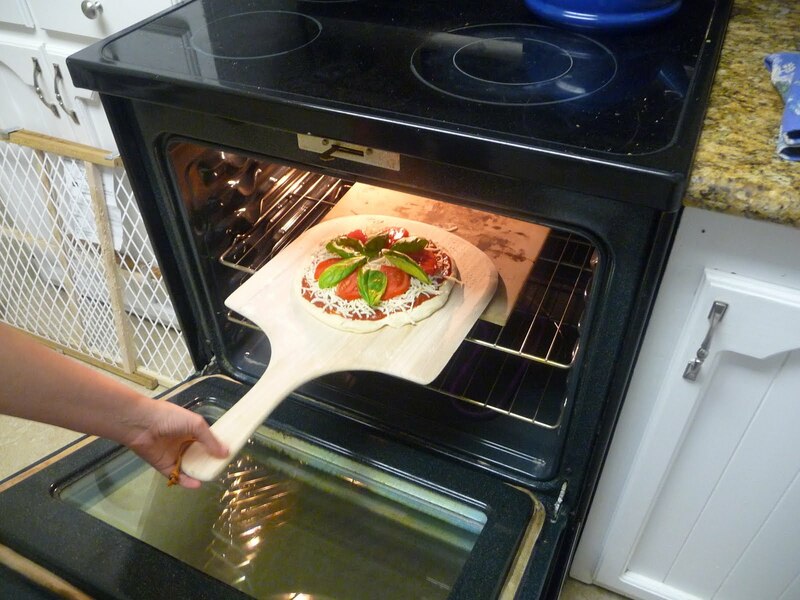 I need me a pizza paddle!!! 🙂 And a pizza stone! 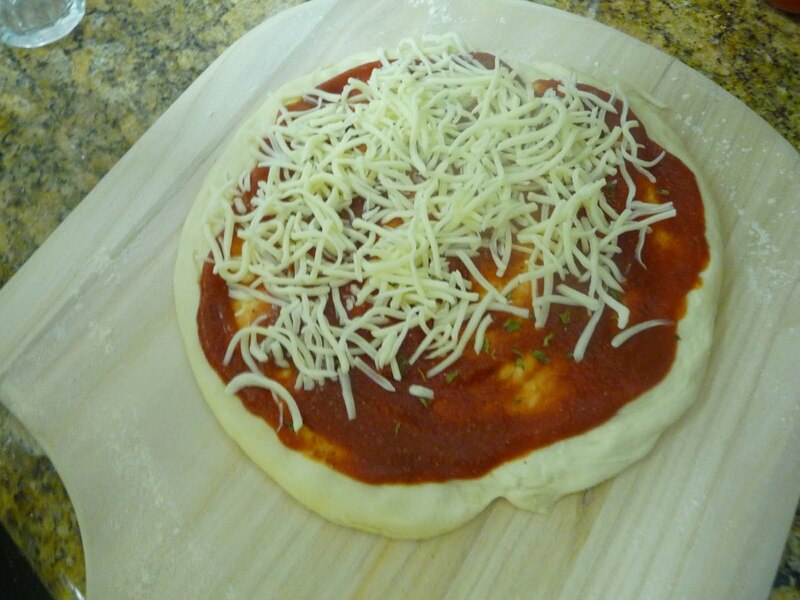 We make homemade pizza every Monday during football season. I buy 4 packs of TJ's dough at a time, stretch them into pies, and then freeze them between parchment in a big freezer bag. 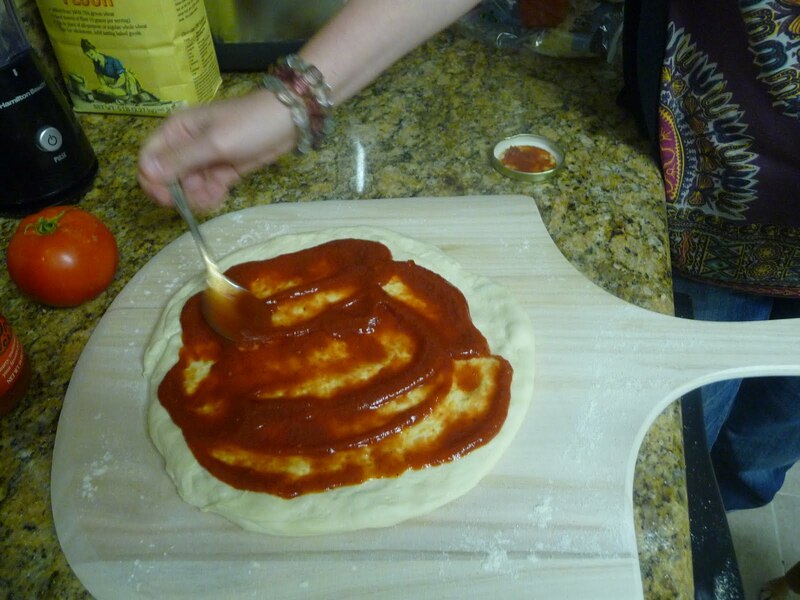 It makes the prep so much easier!Oh… we always make two small ones from one bag of dough.Yours came out so pretty! 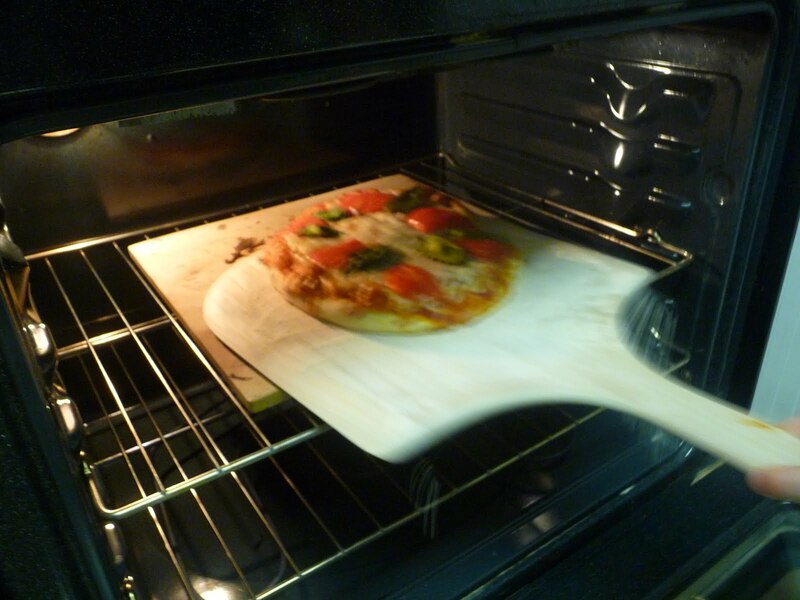 This looks amazing, you just gave me a major pizza craving!I've been wanting to get a pizza stone for years, but have never gotten around to it. I hear they're great for baking bread too. 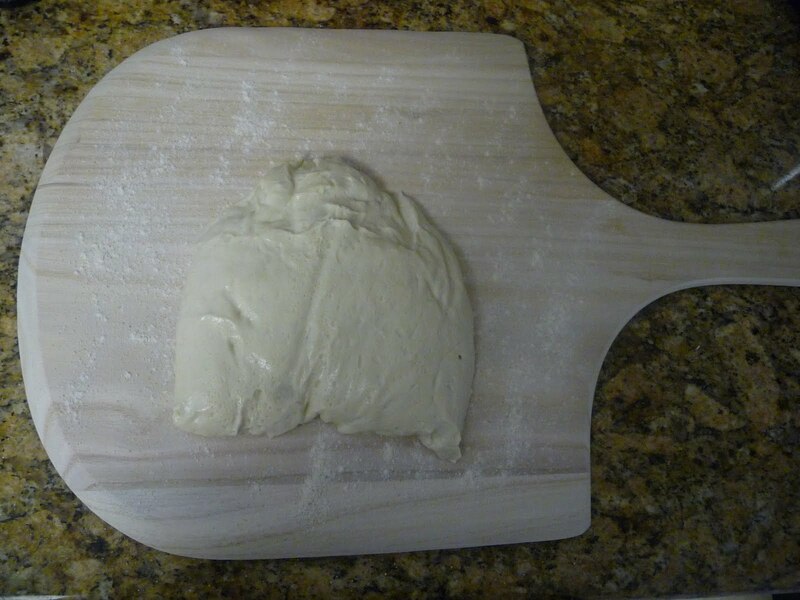 Using a generous amount of cornmeal on the paddle instead of flour makes the pizza slide off onto the stone really well.